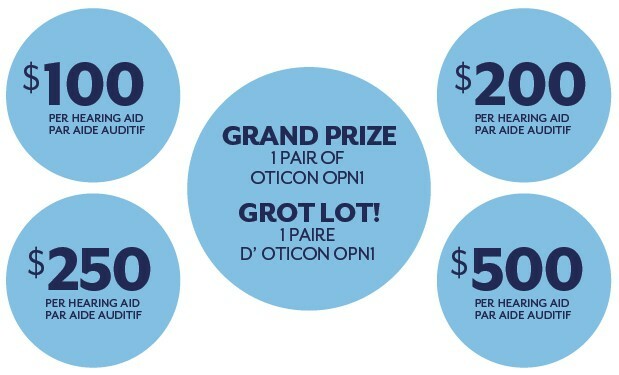 At Robillard Hearing Centers, we are giving you the chance to win a FREE pair of Oticon Opn 1 Hearing aids! Visit one of our 11 locations to pick up your scratch card to find out how much you could save. If you have any questions, contact us via email or call us at 1-800-267-1571. 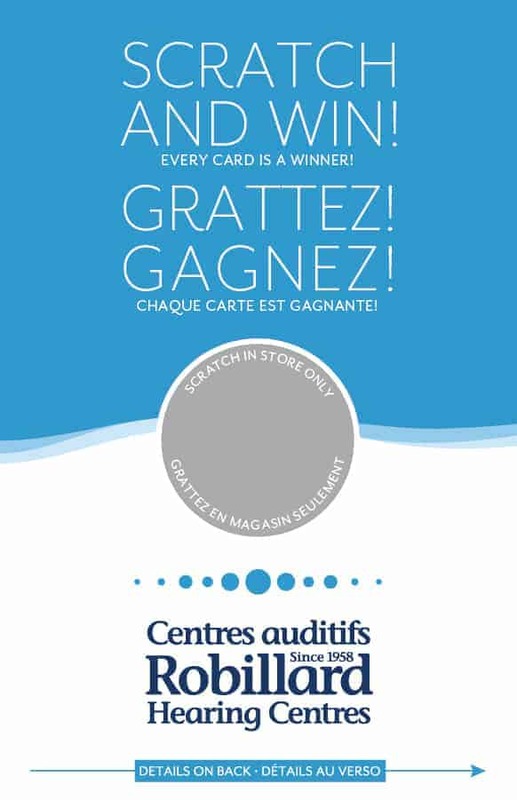 Must scratch in-store, offer expires March 31, 2019. Limited 1 per customer. The Oticon OPN1 premium hearing aid is an excellent choice for individuals with active lifestyles, who need hearing aids that can deliver the most exceptional sound quality in any listening environment.